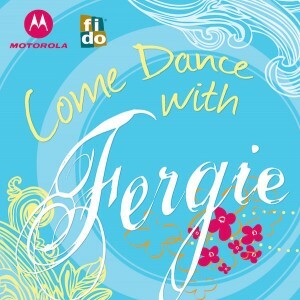 Dance with Fergie is an interactive dance program that Motorola used to entice hundreds of thousands of Pride Weekend goers to it’s corporate tent. TWG was challenged with establishing a creative design theme to promote the interactive program, which would be used on printed collateral and given out freely to those attending Pride Weekend in Toronto. Vying for the attention when millions of people are around is sure a big challenge. Ensuring that the creative was able to be applied freely to a variety of items was of paramount importance. The flattering and flowing creative that was established was in keeping with the free spirited theme of Pride weekend and was utilized on circular handouts, bags and other collateral. Thousands of people attended the tent and had an opportunity to virtually dance with this talented, acclaimed and famous singer. The client was quite pleased with how the creative not only blended nicely with the Pride theme, but also stood out as a signature design piece that many complimented.